Last week I told you about my friend who enjoys life to the fullest. Here we are pictured at her surprise Birthday Party, that her family threw for her. In all honesty, this is our table, plus Cristy and her husband. We were the fun table...her crazy friends. The four ladies sitting (on the right) are lifetime friends of hers. Never met a more enthusiastic group of ladies. They love life. They were a joy. It seems God keeps placing older ladies in my life to be examples to me. So I try to give 100% to the things I do. A place that I get to experience feeling challenged is at the gym. I love the gym. I have never before in my life had a gym membership. My mother, on the other hand, has had one for years! Another older lady who is a great example to me, on several fronts. Above is a picture of my favourite class, where I have to work really hard. 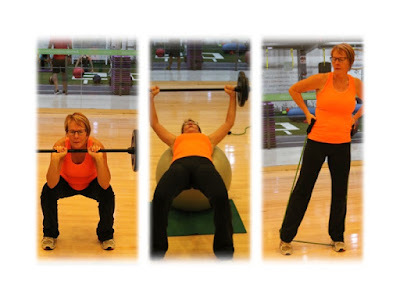 This is a class where we do dance/aerobic/low impact workouts. My problem here is coordination - two left feet. But it is fun, we are great friends, and we laugh at ourselves and enjoy the best teacher. I have improved so very much but he makes sure we feel challenged. This is my strong suit. What I lack in coordination for dance, I make up for in strength. Same teacher, many of the same ladies, but here they struggle more than I do. Latin's dance well, Canadian's are strong?! After a morning of Nelson, we are done in! But we love it. We love suffering together. On another note.... we enjoyed a little cultural experience this weekend. 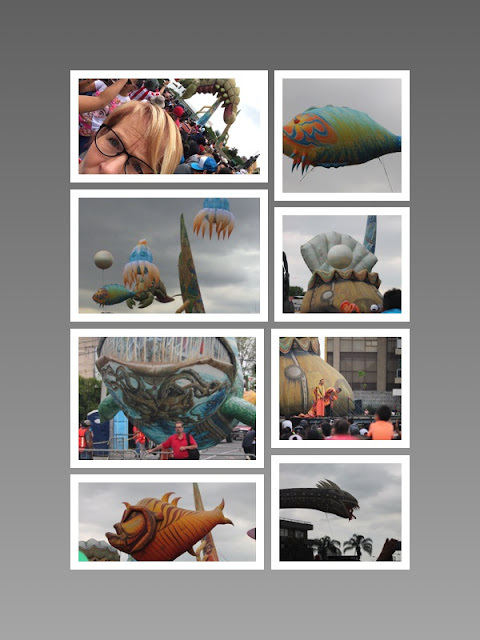 GDL is hosting a Cultural Festival and so we headed out to see "Globos de Francia" (Balloons of France). It was incredible to watch, along with 1000's of Tapatios (people from GDL). Life is to be enjoyed and lived to the fullest. To be challenged. To grow. To Laugh. To Cry. To Celebrate. God gives us days where we feel we are walking 'though the valley of death' and others where we experience pure joy. We need both. I thank my God for giving me people who are a good example of doing both. Celebrating life and walking through pain. God is Good...always.